Staycations are fun getaways for the weekends, but fancy hotels can get a little boring after a while. How about you grab your swimming trunks and the sunscreen and hit the high seas for your next escape from the everyday grind. Private jets and yachts are the ultimate status symbols, while owning either one may be reserved for the ultra rich, you can easily charter a yacht for a short cruise around Singapore, a fancy boat party, or even a weekend getaway. A great space for entertaining friends and family a yacht is also a memorable way to celebrate a special occasion. Here are a couple of ideas for you to plan your next family staycation. The Admiral, Marina at Keppel Bay’s flagship vessel, is a 54-foot luxury yacht that can accommodate up to 24 passengers and is available for 2D1N staycations with a host of activities. The highlight is the sunset-cruise around Singapore where you can enjoy views of the iconic Singapore CBD, city centre, and Marina Bay skyline while you sip your drinks from the expansive fly bridge deck and main deck of the vessel. For accommodation, The Admiral offers a luxurious master bedroom with en suite bathroom and two guest rooms for the passengers. 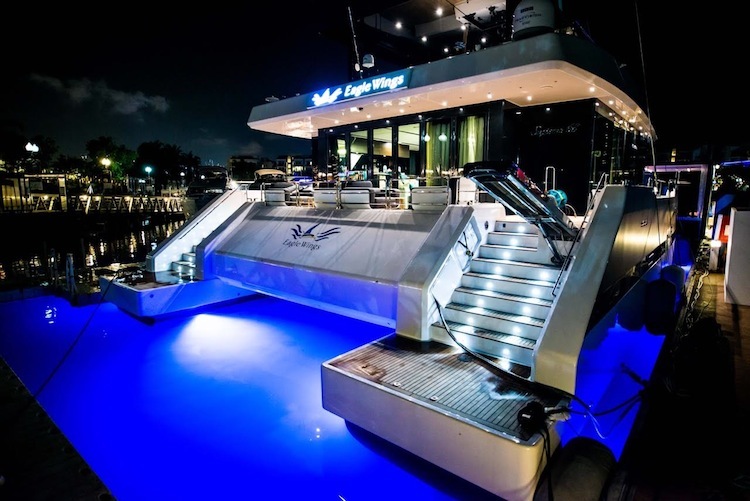 One of the largest and newest yachts currently available in Singapore; Eagle Wings only splashed into local waters in May this year. The luxuriously outfitted catamaran features some of the latest amenities to make your stay unforgettable. End your staycation experience in one of the four fully furnished cabins or maybe relax in the Jacuzzi on the upper decks. If you want a bed with a view, head to the day beds on the stern deck to watch the stars. Just remember to bring a blanket to keep warm in the cool night breeze. Planning A Dubai Desert Holiday?